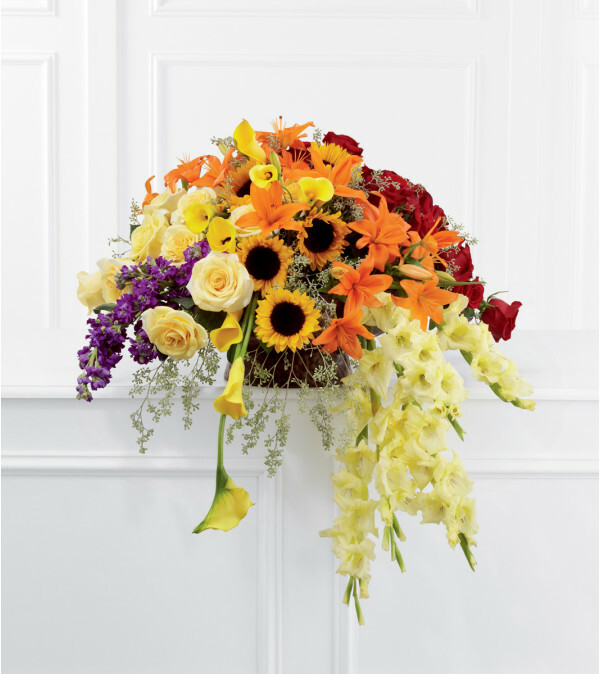 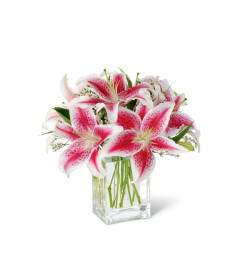 The FTD® Peaceful Tribute™ Arrangement is an elegant memorial that bursts with sun-kissed beauty. This three-sided arrangement brings together the varied elements, colors and textures of cream and red roses, purple stock, yellow mini calla lilies, orange Asiatic lilies, yellow gladiolus, sunflowers and lush greens to create a bright and brilliant display. 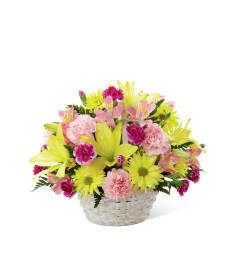 Seated in a large round banana leaf basket, this arrangement will convey warm sentiments at their final farewell service.